Somaliland prominent religious leaders have condemned recent bombings of Muna Hotel in Mogadishu. The militant group, Al-shabab has claimed responsibility of the attack. 31 people including six MPs were killed in the attack. During the Friday sermons, religious leaders around Somaliland condemned the attack and talked about how such violent attacks are far from Islamic teachings. Sheikh Mohamed Ahmed Hassan— one of the most respected and popular religious leaders in Hargeisa, condemned the attack during the Friday sermon and he described Al-Shabab actions as crimes that need to be stopped. On Wednesday of this week 31 people were killed in suicide attack in Mogadishu. six of the victims were part of the Somali parliament. The militant group Al Shabaab claimed responsibility of the attack. A number of leading Imams in Hargeisa also denounced the attack. Muna Omar Jama who is a student at University of Hargeisa told our reporter that she is feeling sad for the innocent people who were killed in Mona Hotel. “It is a sad situation. May Allah make Al shabaab realize that killing Muslims is forbidden in our religion.” she says. Abdifatah Ahmed, another Hargiesa University student expressed anger and questioned Al-Shabab political savviness. 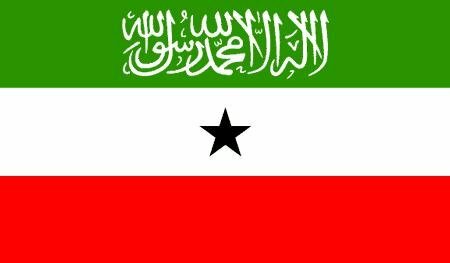 Although the Transitional Government in Somalia has implant the most elements of Islamic law and used the Sharia as the main source of legislations and constitution of the country, the extremist group Al-Shabab have refused to negotiate with the Somali government until all African Peace keepers are out of the country. The attack came after Al-Shabab fighters declared a “final” war against what they called “invaders and infidel” and attacked army barracks in several districts of Mogadishu on Monday. Sheikh Ali Mohamoud Rage, al-Shabab’s spokesman, then said fighters were starting a new war against “invaders”, an apparent reference to the 6,000 African Union troops deployed in the country to support government forces.